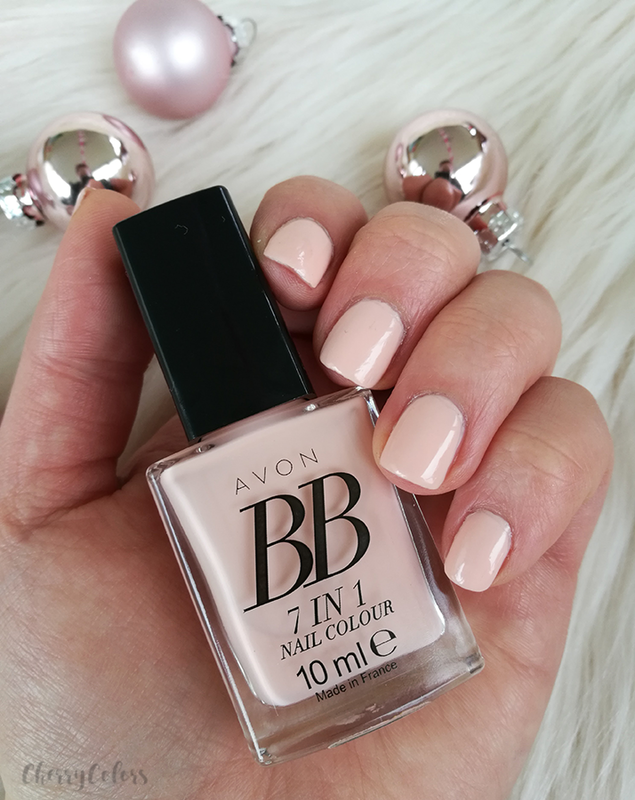 True Colour BB 7-in-1 Nail Enamel in Perfect Pink - Cherry Colors - Cosmetics Heaven! I'm usually not a fan of cream light pink colors. Mostly, because they apply streakily and don't last long enough to make it worth it. The first such color that made me rethink my theory was the Essence Colour Boost nail polish. 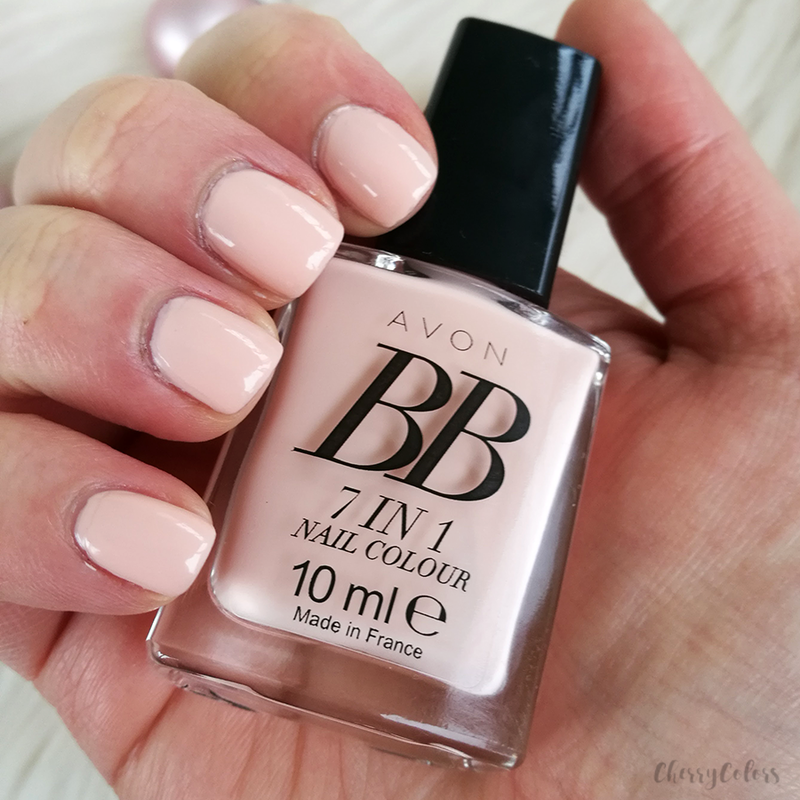 This nail polish is the reason I gave Avon BB 7 in 1 a chance. I tried it and here's what I think about it. Colour and care from a protecting polish with built-in primer. 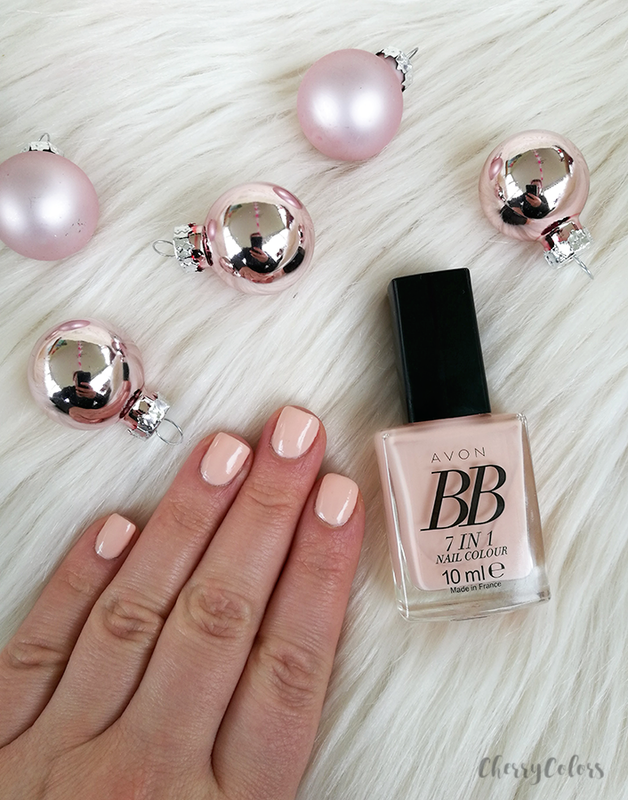 Covers nail imperfections, creates a smooth base and gives nails creamy, flawless color. Increase nail length by up to 72%. UV filter to prevent yellowing. 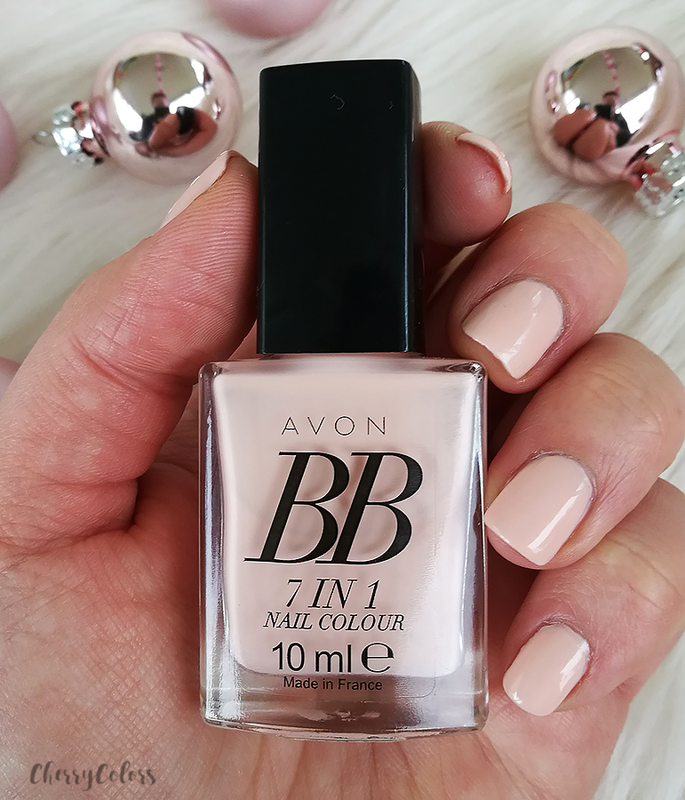 I tested it for a whole week which is more than enough to see how a nail polish behaves on my nails. For the test, I didn't use a base coat and neither a top coat. I just applied three layers and went my way. The polish without a top coat wasn't as shiny as I'd like it to be, so for the photos, I used my beloved top coat (Jessica Brilliance Top Coat). It lasted for a whole week. My right hand was intact with some slight white tips and my left hand (main hand) had some chips on day 7. I am impressed with the longevity but I am not a fan of the formula. It takes three coats for an even look and you have to be quite precise with the application. Once it dries (takes about 10 minutes per layer) you are good to go. Overall, I think it's a lovely color and the durability is worth a bit of the PITA with the application.